I have been making business trips to Massachusetts for over 20 years and have made quite a few friends in the Framingham area, some of whom are members of the Southborough Rod and Gun Club. 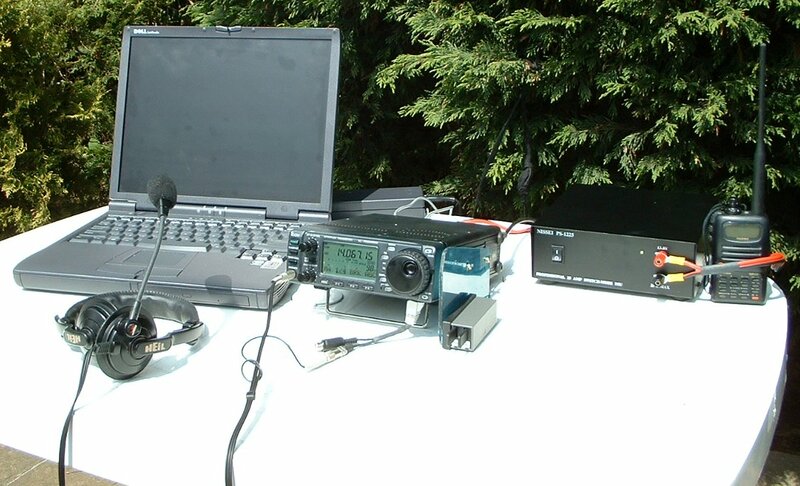 The club has an active ham radio section and participates in many contests with the club call W1SRG. In recent years, I have had the good fortune to be there in late June, which has given me the opportunity to participate in ARRL Field Day. This event is quite different to the RSGB Field Day and, in my opinion, is a much better organized fun event. Unlike the UK event where only one station is operational on CW, there appears to be no restriction on the number of HF and VHF stations a club can operate in the US. The result is that everyone has the opportunity to get on the air. We have operated multiple stations on the HF and VHF bands and there is a great turnout of club members and visitors on Field Day weekend. We enjoy a great weekend playing radio accompanied by fine outdoor cooking and the occasional beverage or ten. I have now assembled a complete portable station (less antenna)which fits into a laptop backpack. This means I don't have to tear the home station apart every time I want to take a portable HF station on the road. 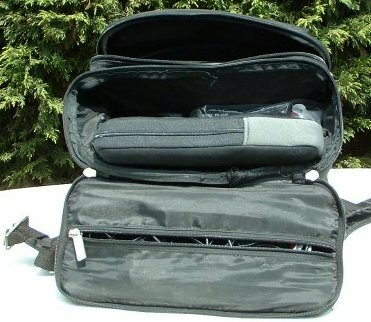 This is my complete Field Day station all contained in a computer bag kindly supplied by Mr Bill Gates and his little helpers. 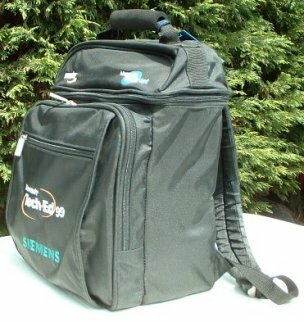 This is the bag's contents, ready to be assembled into a station. Here's the station set up & being tested in my garden. Click on the picture for a closer view.